The Sleep Green Hotels are a young cooperation of green hotels in Europe that have set themselves the goal of “Hotels for a better future”. All members of the cooperation commit themselves to the adherence to a strict criteria catalog in order to keep the quality for the traveler at the highest level. The Private City Hotels stand for excellent, city-based private hotels in well-chosen locations. The members are unified by their own aspiration for quality standards. We as a hotel constantly gain new insights from other members and are therfore able to improve our service on a daily basis. 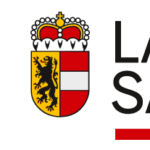 We from the BioParadies SalzburgerLand would like to introduce our guests to the advantages of the gentle way of doing business in our home country. The people of the Salzburger Land and in particular the hosts in the tourist offer group “BioParadies SalzburgerLand” are aware of the clean cultural landscape, which provides the foundation for a sustainable tourism, and they are thinking about how to make the holiday of our guests even more enjoyable, eventful, sensual and natural.